"Tribal leaders are mere pawns in politics"
Chekkottu Kariyan (C K) Janu is an adivasi leader in Kerala. She is on bail after she was imprisoned for more than 40 days for leading an agitation demanding tribal rights over the Muthanga Wild Life Sanctuary in Wayanad district in Kerala (See: The truth about Muthanga). C K Janu was born in Vellamunda village in Wayanad district in 1970. She belongs to the Adiya tribe, one of the most downtrodden indigenous communities in the state. (The word 'adiya' literally means slave.) Janu served as a domestic help from the age of seven. From the age of 12 onwards she worked as an agricultural labourer on daily wages. Janu has had no formal education. However, through her own efforts and by participating in the 'Total Literacy Campaign' in the state during the 1980s, she equipped herself to speak and write Malayalam, the language spoken in Kerala's mainstream society. Apart from many local languages and dialects, Janu also has a working knowledge of English. From the time that she was a literacy campaigner, C K Janu joined the ranks of the Communist Party of India (Marxist) in Kerala. In 1982, she quit the party fighting against its patriarchal and anti-tribal policies and to chart out a different, independent, course of struggle for the indigenous people of the state. In 1992, Janu was selected as chairperson of the South Zone Adivasi Forum, an organisation that coordinated the land struggle of indigenous people in three southern states of India. In 1994, she represented the indigenous peoples of India at the international conference organised by the United Nations in Geneva, in which delegates from Asia, Africa and Latin America participated. In January and June 1999, Janu took part in a series of protest demonstrations and speeches against globalisation organised by the Peoples Global Action (PGA) throughout Europe. The protest demos were targeted at the G-8 summit (held in Cologne, Germany), the World Economic Forum (Davos, Switzerland), the International Chamber of Commerce (Paris) and the Swiss banks. A biography of C K Janu in Malayalam has been published in November 2002 and a translation is slated to come out in English soon. She has co-authored a book on indigenous peoples' rights and their demand for self-rule. A total lack of access to and control over any resource. Adivasis are denied access to any land - be it for cultivation, or forestland from which they collect most of the things they need for their survival. The lands we used to cultivate have been taken away from us. The forestlands we used to live on have been usurped by the Forest Department and the moneyed mafia lords. Nowadays, those who own the lands do not give us jobs. There are no jobs in the fields and in the plantations. As result, adivasis are pushed into poverty and starvation deaths. We had launched the 'Refugee Camp struggle' in Thiruvananthapuram in August 2001 after more than 20 adivasis died of starvation. This is the situation everywhere - in Wayanad, Palakkad, Attappady, Idukki. Kasaragod, you name it. Starvation deaths have ceased to make news in the state. There are thousands of adivasis in the grip of several diseases. The government says adivasis are dying because they drink arrack and unclean water. But the real cause is poverty, lack of food. How can we eat food if we don't have an inch of land to cultivate? Fifty years ago, the situation was only a little better. Even then, many adivasis were bonded labourers. They were not treated as human beings. The forest department also treated us badly. The Kerala society never wanted to recognise adivasis as human beings. The situation would have remained the same had we not learned to organise ourselves and take to the path of agitation. This is an important change that has come about in the last few decades. The consciousness that our lands have been stolen was there in the past too, even in the '40s and '50s. I know this from what my parents and grandparents used to tell us. But then nobody could protest. The situation began to change only in the '80s. 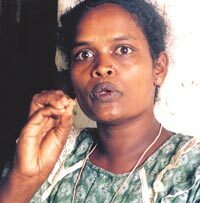 Some small groups came up in the '80s to speak out for the adivasis. The political parties were forced to address issues in the adivasi areas to some extent, even though that was under the compulsions of vote bank politics. The parties did not take up adivasi issues as adivasi issues. We were treated as pawns in their grand political schemes. Even as a child I used to walk in the processions and gleefully shout slogans, because my parents were enrolled for such processions to swell the ranks. Of course, we never understood the meaning of the slogans. The processions were often for demanding better price for pepper or ginger. But none of the adivasis who shouted these slogans had even an inch of land to cultivate those crops! On other occasions, the struggle would be for better wages. But eventually, the party bosses would compromise with the farmers and ditch the adivasis. Why are these issues crucial today? Now we know that without rights over resources and land we cannot even survive. We are raising the simplest of demands: right to live and die in the lands where we were born. This is the most fundamental right for adivasis. People in the general society have different options. It is wrong to compare our lifestyle with the mainstream society's ways and customs. They can go anywhere and live in any manner they want. But for us land is not a tradable commodity. Once we are alienated from our land, we become slaves or coolies. Our land is the source of our beliefs, culture and rituals. It is the source of our food and medicines. Our people who earlier would dig the land and find water are now forced to go on strikes to get water from taps. This has happened because our own ways of living and our sources of existences have been banished by plans and development schemes. Hundreds of roads are built every year into adivasi areas. But an adivasi does not own even a bicycle. Our forefathers learned things from nature and land. Our farming implements, vessels, huts, everything we use are made by us. All that was possible only as long as we had rights over land and resources. Now we need to compete with the mainstream people and we are always the losers. This realisation has been slow in coming. But now we are armed with this knowledge. So even after the brutal suppression in the Muthanga forests, adivasis are determined to stake their claim over the land. Rights over agriculture land and rights over forestlands. In Wayanad, one of the first land struggles that we led was for the right over our community burial land in Thrissileri. That was in the '80s. When the neighbouring non-tribal landowner extended his boundaries into our burial ground, our people went out together and built hedges and reclaimed the land. The non-tribal landowner called the police, who came and took away a lot of our people. Then our women marched to the police station with pickaxes and shovels, and got the men released. Since then we have reclaimed several of our lands through struggles. The process is still on. What we attempted in Muthanga was to establish our rights over the forests from where hundreds of adivasis were evicted in the 70s and 80s for setting up eucalyptus plantations and for establishing a wildlife sanctuary. Our rights were never enquired into or settled. When did you enter the political domain? What were the issues that propelled you to the political stage? I entered activism through the Literacy Mission programme. Later I became active in communist party processions and became a member of the Karshaka Thozhilali (Agricultural Labourers) Union. But our people did not have any role in the struggles except to shout slogans. We were mere pawns in the game. The party bosses were local landlords and upper castes. They would not visit our huts but would only send for us at the when we were needed for processions. Whenever our people tried to raise our issues, the local branch leaders would say they were policy issues to be decided by the higher-up committees. But such decisions never came. So eventually I left the party in 1982.
Who were the leaders that inspired you? Which political parties helped you? Which parties opposed you? I had not taken to the political scene inspired by anybody or by reading about anyone. It was the sheer wretchedness of the of the adivasi situation around me that forced me to protest and take up such a position. Initially, it was through the Communist (Marxist) Party that I became a political activist. But later the party began to view me as an enemy traitor, a "foreign agent". The other parties, such as Congress, had never had an adivasi agenda. The BJP is a new entrant in the adivasi areas in Kerala. What is your "vision" of development in tribal areas? Once they are given back the rights over land and resources, adivasis would be capable of fending for themselves. We can grow our own food in our own ways to feed our own people. We don't need much of the luxuries of mainstream society. We don't need to be brought to the mainstream the way your society has always been claiming to do. In fact, we were aiming to restore adivasi lives in its original purity when we occupied the Muthanga forests. It was the beginning of integrating the diversity of the various tribes and commencement of a village life capable of self-rule. We nearly succeed in recreating an adivasi village in Muthanga through collective willpower and labour. The rhythm that the tribal communities lost was re-established. We set up our own huts and prepared the land for cultivation. We set up three schools for the children, a public distribution centre, a healthcare centre and even prepared the blue print for reforesting Muthanga, enlivening the dried-up Mavinahalla river and protecting the wildlife and environment. The settlement in Muthanga became totally liquor free; no one felt the need for liquor for all the 40 days we were in Muthanga. This was a lesson for all of us - a true lesson, a lived-in experience of Adivasi self-rule. What is the role of ecology and environment in the lives of tribals? Adivasi and environment are one and the same. These two cannot be separated. It is not that adivasis use nature for their own benefits as the mainstream society imagines. Our people are not exploiting nature, we are being a part of it. And similarly, nature is there within each adivasi too. What have you done to address the issues you think are crucial for your constituency? Ever since I left the union and the Communist Party, I have been taking up adivasi issues, mainly land issues. We have taken out several struggles to regain possession of our alienated lands through mass struggles. The struggles are continuing and will continue. How do you rate your success in addressing those issues as leader of your people? Has your intervention helped? It is only after the adivasis began to organise themselves that mainstream society has been forced to recognise the adivasi land issue in Kerala. So far, all political parties have only paid lip service to this most crucial question of our right over land and resources. This is not an issue that concerns adivasis alone: this is an issue of all marginalized sections of society. The dalits, the fisherfolk etc. have rights over resources. They should be protected. Without that, there cannot be real democracy. The adivasi struggle has brought this realisation to the centre of Kerala's political agenda. I don't consider this as my victory. It is for others to judge. What are your plans to address these issues in the future? Which political parties/lobbies are you prepared to work with? How are your relations with the conservationists and environmentalists? The Adivasi Gothra Maha Sabha will restart the land-struggle very soon. We have planned to take out a rally of all likeminded people in order to assert our rights over land and forests. Surely we will go back to Muthanga. It is our alienated motherland. But the government is now planning to sell off Muthanga to the tourism mafia. They want to bring ecotourism to Muthanga. We will resist this move with all our might. There are many fake conservationists in Kerala. They have been responsible for the police brutality in Muthanga. These people never cared for Muthanga when the forestland was given to the Birlas to grow eucalyptus. They were not bothered when non-adivasis encroached upon the forests. Only when adivasis went to Muthanga did they start making a hue and cry. Such conservationists will have to be exposed. Recently the IG of forests also asked us not to stake our claim over Muthanga. But he does not have a problem with the government planning to bring ecotourism to Muthanga. We had launched the struggle by openly challenging the forest department. The department. should be abandoned if forests have to be protected. Our people can protect the forests better. There is no need for World Bank funds for this. People can do this on their own. Adivasis are the true conservationists and protectors of forests. How are your plans different from existing plans? What are the major obstacles that you expect to face? The major obstacle before our people is the government itself. Both the United Democratic Front and the Left Democratic Front do not believe in the rule of law. They do not recognize adivasis and dalits as citizens. So far, successive governments in Kerala have thrown all laws to the wind. They have shown only utter contempt for Article 244 of the Indian Constitution. The 1975 Act for restoration of alienated land was never implemented. Under the Vested Forest Act, adivasis were not given the land they should have got. Adivasi areas in Kerala were not brought under Schedule V. Nobody spoke a word about the 1996 (PESA) Act when decentralisation was introduced in Kerala. All High Court orders were repeatedly ignored. Recently, the government withdrew from implementing the agreement signed last year on October 16. Thus, the adivasis who returned to Muthanga were only implementing one by one each of the provisions of the agreement by themselves. They were setting up a life where all the rights of the adivasis would be protected. Is there sufficient legal protection for tribal people, both in the Constitution and in other laws? The legal protection that is said to be guaranteed in the Constitution and law are only face-saving measures of the state. The governments introduced such measures only when the social situation threatened them. And most of these provisions still remain to be implemented or implemented fully in parts of the country. Tribals rely extensively on forests and natural resources. What is your ideal of improving the management of these resources? 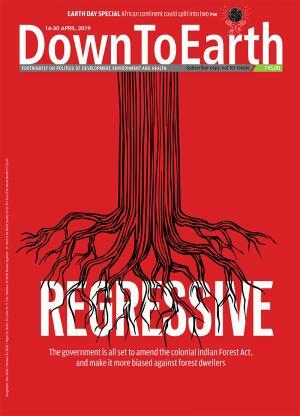 Is the answer only to amend the Forest (Conservation) Act of 1980? Our first demand is that the Forest Department be dismantled. In all forest areas, adivasi grama panchayats should be formed and entrusted with the task of managing the forests. Why is the visibility of tribal leaders so low in India? How do political parties treat the tribal leaders within the party-fold? To my knowledge, there are no true adivasi leaders among the political parties. Parties do not allow adivasis to come up. This is the case of all political parties in Kerala. The adivasis in the political parties are only the megaphones of the parties. They do not speak for themselves or for their people. They only parrot the party view. Those who have survived in parties have reneged on adivasi interests. They share the mainstream ethos and the cunningness of the mainstream society. And their view of adivasi development is to bring adivasis into the mainstream, to make the adivasi give up their culture and roots. Why are tribal political leaders so unaware of the issues of tribals in other parts of the country? Are there any tribal leaders of national stature and presence? I cannot speak about adivasi leaders in other parts of the country whom I do not know. Is it possible for tribals and non-tribals to co-exist without harming each other's interests? Or are tribal interests diametrically opposed to non-tribal interests? Except in a few pockets in Wayanad, where the forest mafia and local politicians set up mobs to attack and capture adivasis immediately after the Muthanga police firing, the adivasis and non-adivasis have been coexisting peacefully. There are deep conflicts between the two societies based on different world-views and lifestyles. But by and large Kerala's society has come to accept that the right of the adivasis have to be protected. The civil society has gained this realisation. But the state government of Kerala and the union government remain adamant.